The Carnegie Mellon University community today celebrated alumnus and philanthropist David Tepper's ambitious vision that has come to fruition at the grand opening of the David A. Tepper Quadrangle, a new home for the Tepper School of Business, a new hub for campus life and a catalyst for the future of higher education. More than 2,500 CMU students, alumni, faculty, staff and friends attended the activities to commemorate the historic event, which included a dedication ceremony and ribbon-cutting, community lunch, building tours, and panel discussion among the building's architects and university's campus design team. 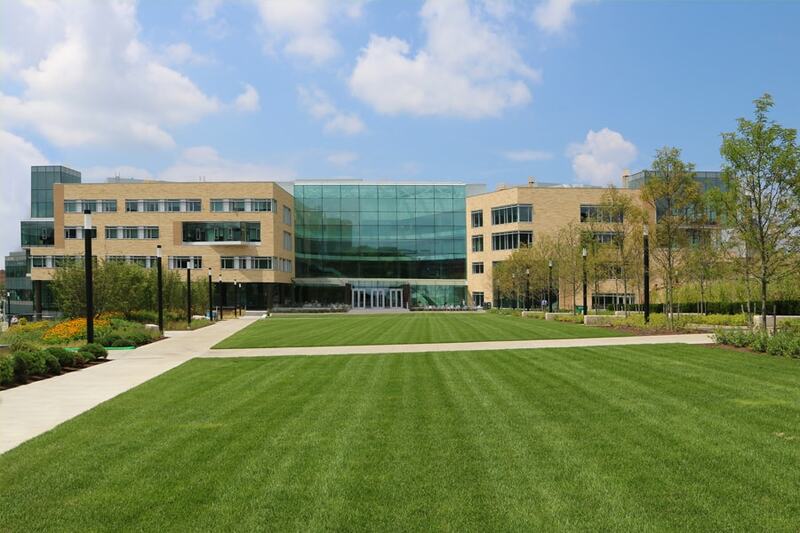 The five-story, 315,000 square-foot building, the first to be completed on the Tepper Quad, is named for the alumnus and trustee who earned his MBA from CMU in 1982, and who has become one of the university's greatest benefactors. Tepper has made two transformational gifts to the university — $55 million to name and endow the business school as well as the $67 million lead gift for the Tepper Quad. View pictures from the grand opening of the David A. Tepper Quadrangle. After earning his MBA from CMU, Tepper used the skills he learned to become one of the most successful investors in his generation. His hedge fund company, Appaloosa Management L.P., has consistently outperformed industry peers and the broader global markets since inception. A major philanthropist, Tepper champions education and meeting people's basic needs across the U.S. He is passionate about ensuring that education is accessible to all and that children and teachers have the tools and resources they need to thrive. Carnegie Mellon President Farnam Jahanian said the Tepper Quad would not be possible without Tepper's leadership and generosity. 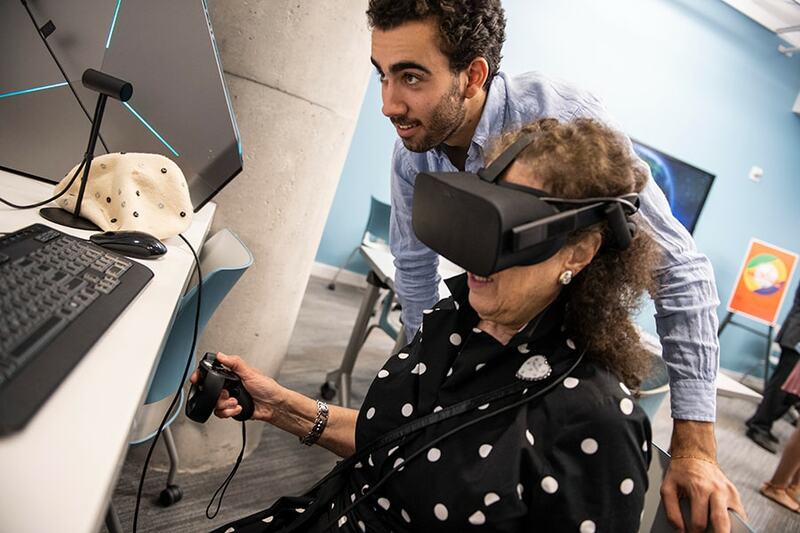 "His passion for this project is driven by the belief that Carnegie Mellon draws its greatest strength from our willingness to cross boundaries," Jahanian said. "So he challenged — and empowered us — to create a building that would enhance this innate ability. 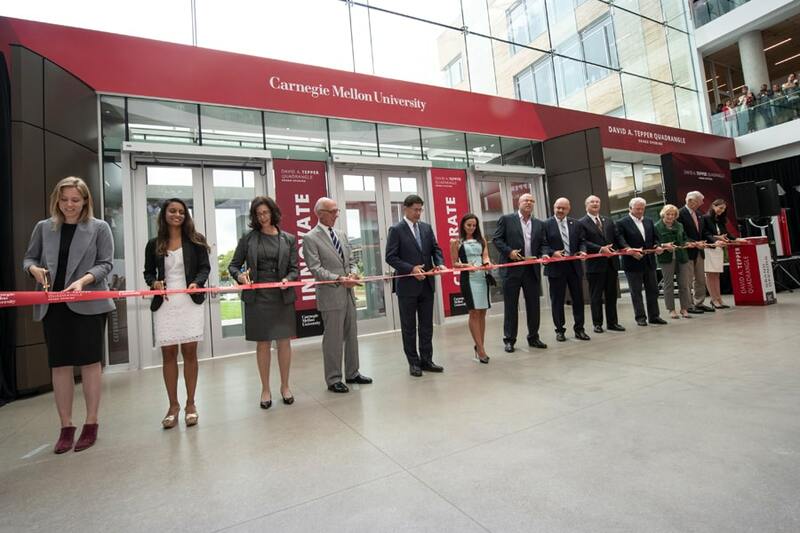 We are so grateful for his foundational generosity, which was supported along the way by more than 1,200 donors who believed in this vision and what it could do for Carnegie Mellon." 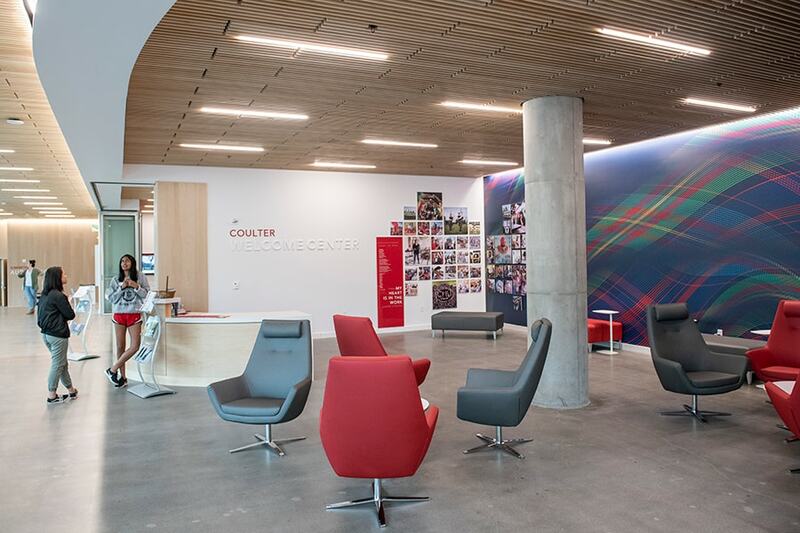 Jahanian recognized and thanked Tepper Quad fundraising co-chairs Jack McGrath and David Coulter, and Jim and Susan Swartz, who provided a landmark gift of $31 million to establish the Swartz Center for Entrepreneurship, which is housed in the new facility. 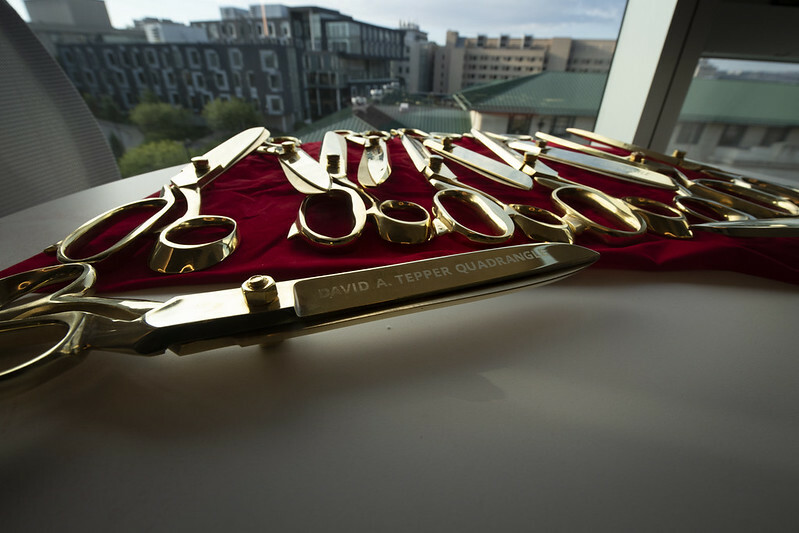 Taking part in the ribbon-cutting ceremony for the David A. Tepper Quadrangle were (l-r) Tepper School Ph.D. Candidate Elizabeth Campbell; Student Body President Roshni Mehta; Interim Provost Laurie Weingart; Tepper Quad Campaign Co-Chair David Coulter; Tepper School Dean Robert Dammon; Nicole Bronish and David Tepper; President Farnam Jahanian; Chairman of the Board of Trustees Jim Rohr; Jim and Susan Swartz, benefactors of the Swartz Center for Entrepreneurship; Tepper Quad Campaign Co-Chair Jack McGrath; and Tepper School MBA Candidate Victoria Lopez. 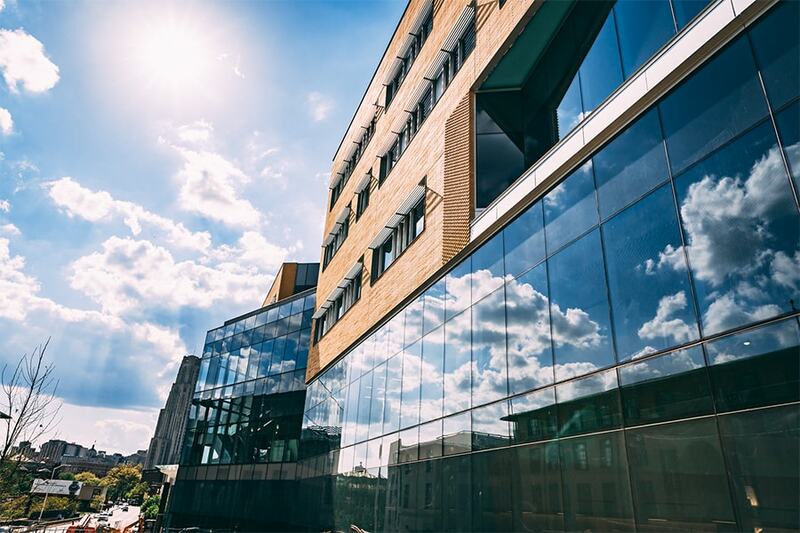 With 82,000 square feet of exterior glass, this first building of the Tepper Quad is CMU's new front door to campus and its window to the world. Its visionary open design was created with flexible spaces to connect people and ideas, and promote a new paradigm for learning. "As the new home of our business school, this building will enhance the Tepper School's diverse strengths at the intersection of business, technology and analytics," Jahanian said. "Here, we will nurture the next generation of leaders. 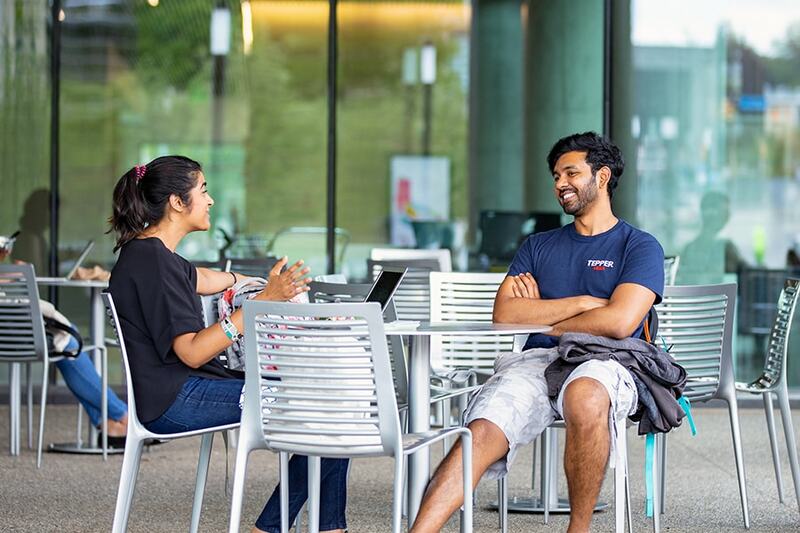 Here, we will catalyze deeper connections between the Tepper School and other core areas of excellence across campus, including computer science, engineering, social sciences and the arts." Tepper School of Business Dean Robert Dammon spoke about the opportunity the Tepper Quad presents. 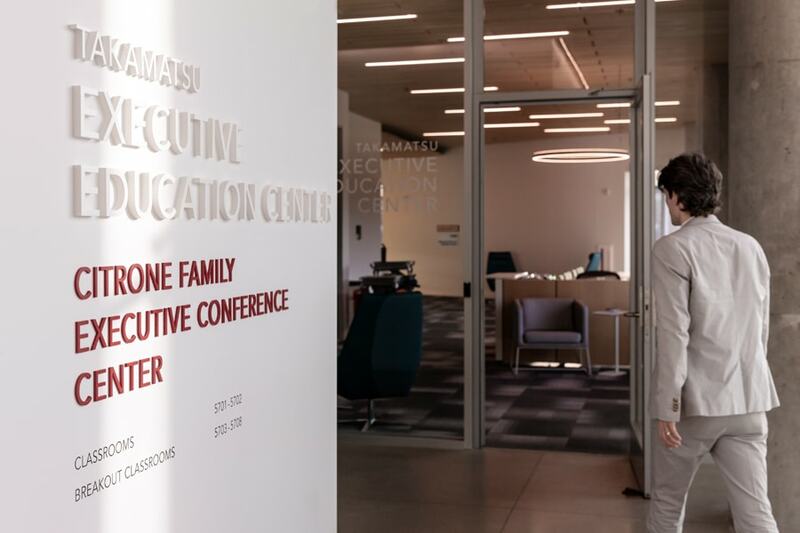 "For the Tepper School, this new building and the collaborative environment it creates provide us the opportunity to reimagine business education for the 21st century. ... With the needs of business now converging on the strengths of Carnegie Mellon and the Tepper School, we are uniquely positioned to provide intellectual leadership, and to educate the next generation of business leaders and entrepreneurs to be the agents of change in a world driven by technology and information," Dammon said. In addition to Tepper School of Business offices, classrooms and meeting spaces, the building houses the Askwith Kenner Global Languages & Cultures Room, which connects students with the many cultures they will encounter in the global workforce; the Swartz Center for Entrepreneurship, where students, alumni and faculty have access to mentors and business tools for startup success; and the Eberly Center for Teaching Excellence and Educational Innovation to help faculty enhance their teaching effectiveness. 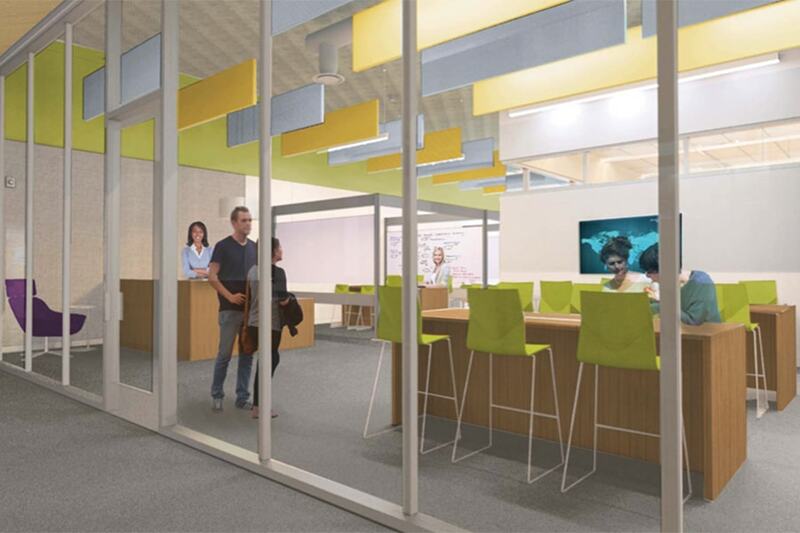 Social gathering spaces, and flexible technology-equipped classrooms and conference rooms that can link students to CMU locations around the world were created to foster local and global collaboration and innovation. The Tepper Quad is designed to bring the university community together in new ways. Amenities include a fitness center with expansive exterior views; the 600-seat Simmons Auditorium that can be reconfigured to accommodate various types of events; an Undergraduate Admission area; and the David and Susan Coulter Welcome Center, where visitors can embark on their CMU experience by learning about the university and some of its unique traditions. Rohr Commons houses two eateries, Tazza D'Oro and Pure, which offer new dining options for students across campus. 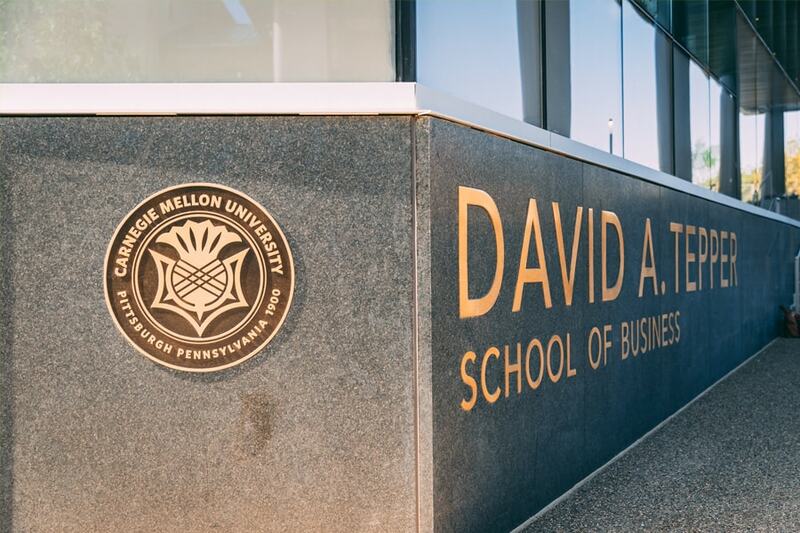 "From the beginning, he [David Tepper] insisted this was not to be just a business building," said Jim Rohr, chairman of CMU's Board of Trustees. "Here, in addition to the business school, he wanted to have large spaces devoted to collaboration. He wanted to have faculty and staff from all over CMU teach here. He wanted a welcome center. He wanted dining facilities. He wanted spaces for their families and visitors for CMU. ... As you take a look at it and you watch the foot traffic, this is the center of campus. This vision aligns perfectly with where the trustees, the staff and the faculty see the strategic plan of Carnegie Mellon going forward." David Tepper and the Tepper Quad were part of CNBC's "Fast Money Halftime Report" on Thursday. The cable business channel's top-rated show was hosted from the third-floor of the Tepper Quad atrium. Host Scott Wapner interviewed Tepper about the new building and his views on business education just prior to the grand opening ceremony. He also spoke with President Jahanian later in the day. Moore Ruble Yudell Architects and Planners of Santa Monica, California, was the lead architect of the building. 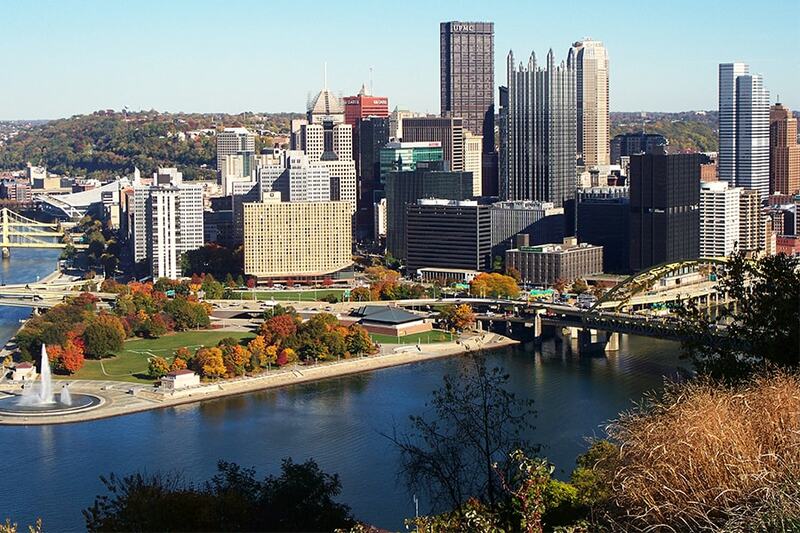 The firm worked with Carnegie Mellon's Campus Design and Facility Development team, led by Associate Vice President Ralph Horgan and Bob Reppe, senior director of planning and design. The Tepper Quad, which is seeking Gold LEED (Leadership in Energy and Environmental Design) certification from the United States Green Building Council, aligns with CMU's commitment to sustainability. "Today, the Tepper Quad opens its doors to new possibilities, marking the beginning of one of the most important and inspiring chapters in CMU's history," Jahanian said.